Hello and welcome back! I didn’t want to overwhelm everyone with acres of picks last week, so I’m back to talk about the other rotating block, Shadows over Innistrad and Eldritch Moon. To repeat myself from last week: These are the cards that I think are good to have as they leave Standard, either for their value in Modern/Legacy, or as long-term casual holds. During Theros block, you could get the foil for under $10. Even at rotation, you could get it about $10. But now it’s double that, and nowhere to go but up. 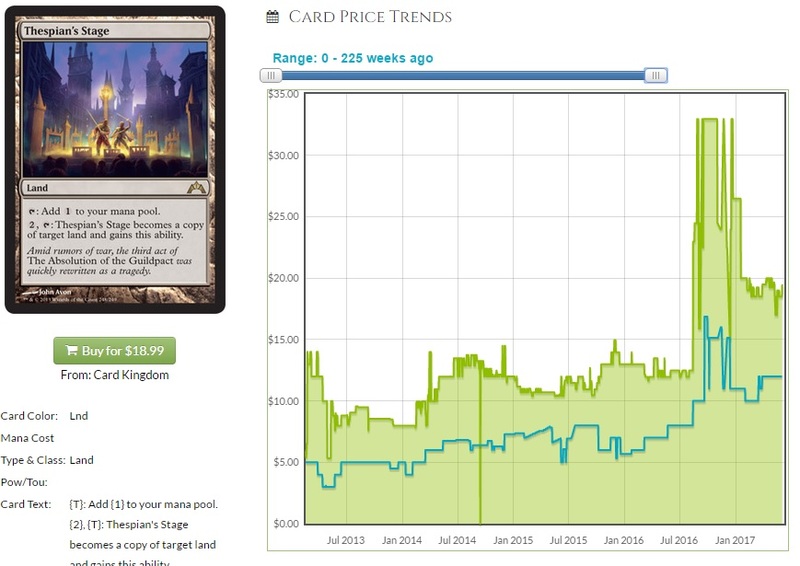 The nonfoil has gone from dollar rare to $3 casual gold, and I’m pleased with either of those graphs. Every time the Stage dodges reprinting, it ticks up by fifty cents or a dollar. 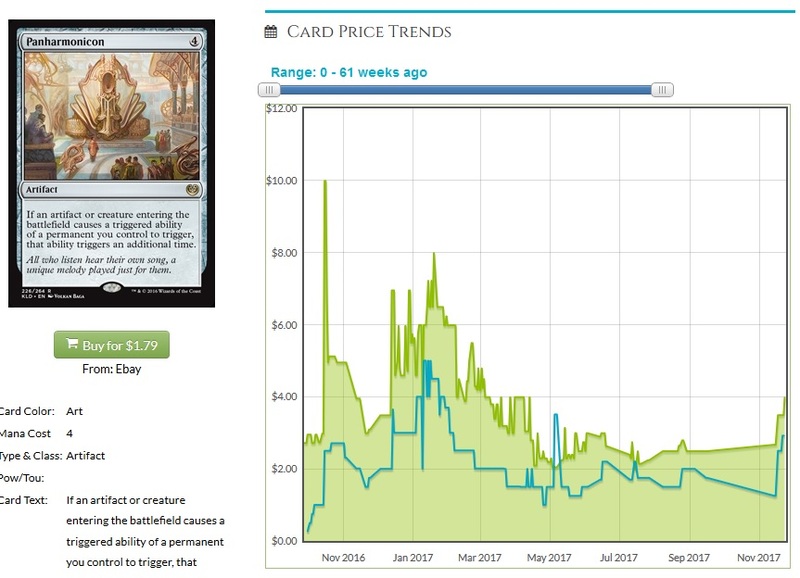 If it gets reprinted in Commander 2017, I don’t think the price will get hit much but the foil will tick upward. It’s going to take a Conspiracy/Masters set to impact the foil very much, and that seems unlikely in the next year (It’s not Iconic, after all). Traverse the Ulvenwald ($4.50 nonfoil/$14 foil): Really, we should have seen this coming. Delirium isn’t just easy in Modern, it’s the focus of Tarmogoyf. 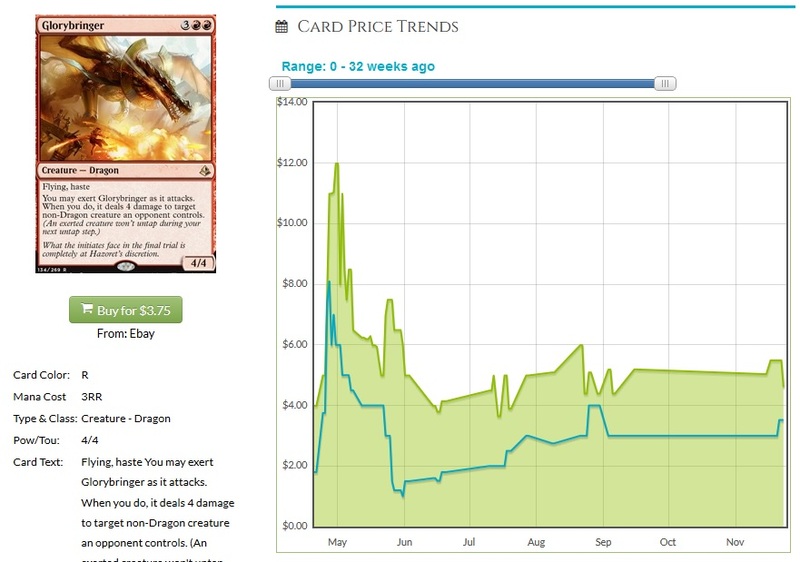 Getting the ‘Goyf as big as possible as fast as possible is why Tarfire spiked. Gotta get that Tribal type! 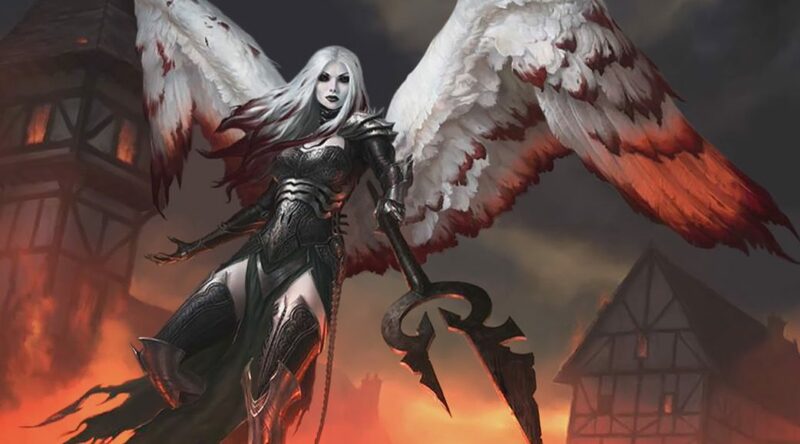 Archangel Avacyn ($10/$22): The poster angel for the set, a double-sided mythic, she’s going to be very hard to reprint. It’s my understanding that the double-sided require a whole sheet, and then are added, so it’s not possible to throw one two-faced card into a regular print run. 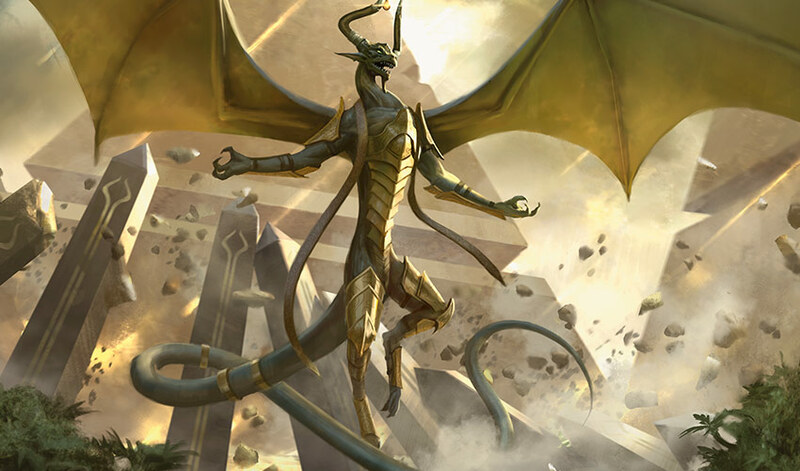 The flip planeswalkers of Magic Origins were done on their own, lots of languages to a sheet, so I feel confident in thinking that Avacyn is safe from reprinting for a while. She’s at the lowest she’s been during her time in Standard, and frankly the foils are super appealing. The foil multiplier isn’t even three yet! Let’s get in on these and just be patient. The growth will be real. Thalia’s Lieutenant ($2.75/$6): I want this to drop further. I’d like picking these up a lot more at $1.50 or less, but this price is likely an artifact of a couple of recent Modern decks that have a Human theme. I would truly love it if the triggered ability could affect Soldiers too, but it’s still a very good card. Every set has Human creatures, and with every good creature to add to the deck, this card gets better. People pack lots of graveyard hate in Modern, making Dredge a bad choice. People move their sideboard choices to other decks, because no one is playing Dredge. Someone makes the right metagame call at the right big event and Dredge takes it all. This price goes up by at least double. I don’t know when that process will happen, but it’s only a matter of time. Honorable mentions at $1 or less: Fevered Visions, Descend Upon the Sinful, Seasons Past, Duskwatch Recruiter, Second Harvest. Gisela, the Broken Blade ($8/$20) and Bruna, the Fading Light ($1/$6): I like all the foil Meld cards going forward, but this pair having a mythic member AND being part of an iconic tribe means that I love the casual potential here. Bruna is already very good in Angel decks, and I can’t imagine not making space for her sister in Commander decks. Gisa and Geralf ($1.60/$6): The high foil multiplier here is a very good indicator that you want to have some of these going forward. This card never had a huge supply, being a small-set mythic, and Commander players are taking these out of circulation. I’d much much much rather have the foil version, because I can see this being the headliner for some future duel deck (Undead vs. Survivors or some such). Bedlam Reveler ($1/$4.50): Another big foil multiplier indicates the foil is sought after more, either in Eternal (where it’s seen some play) or casual play, where only the most dedicated of decks play this. I’ve written about this before, so I don’t want to repeat myself too much, but I can see this spiking pretty hard with just one good showing. Deploy the Gatewatch ($1/$4): So about a year ago, while I was guesting on MTG Fast Finance, James and I had a polite disagreement about this card. I thought it was trash for Standard, but an excellent long-term hold. The card has gone up about a dollar since then, but it remains a ridiculously safe pick in foil. I suspect we will get some Gatewatch-themed special issue deck at some point, but until then, snag lots of foils and just wait. You’ll thank us later. Cliff is impressively devoted to Magic, in a range of formats. His greatest love has been Commander, but Cube is the new hotness and it’s not as clear as it used to be. Who will steal his heart and get that rose? Tune in next week!